Flat Feet - common problem for many people. Get rid of your flat feet! Flat Feet - common problem for many people. Get rid of your flat feet! Having flat feet means having feet that don’t have a proper arch. 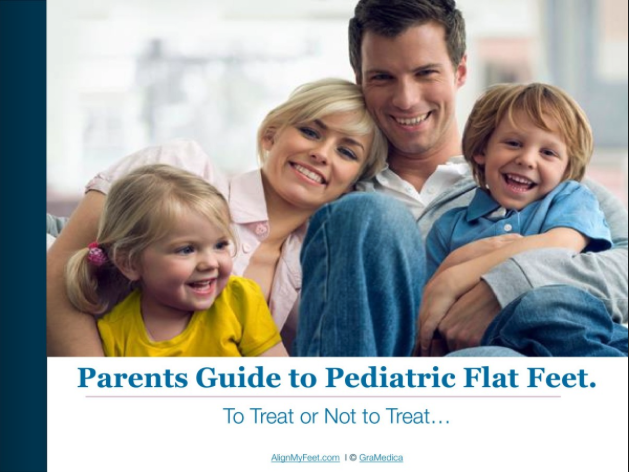 Flat feet are a common problem that affects pediatric, adult, and geriatric patients alike. 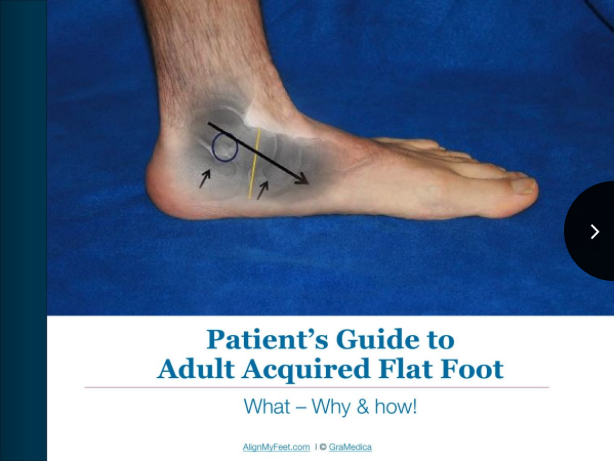 This is the most common form of flat foot. It means that there is an arch when there isn’t any pressure on the foot, but when you stand the arch collapses. This type of flat foot can be put back into its “normal” position during standing. With semi flexible flat foot, there isn’t much of an arch with or without pressure on the foot. The foot flattens out more during standing. This type of flat foot cannot be put fully back into its “normal” position. With rigid flat foot, the foot has no arch on or off the ground and it cannot be manually forced back into its normal position on or off the ground. Flat feet occur when their is a misalignment in the hindfoot (ankle bone and heel bone) that is “forcing” the natural arch in your feet to lower. your ankle bone (talus) sits directly on top of your heel bone (calcaneus). The front edge of each bone is almost aligned with the other (the front edge of your ankle bone slightly overlaps the front edge of your heel bone) and there is a naturally occurring space in between them, called the sinus tarsi. your ankle bone falls forward and out of line with your heel bone. This causes the sinus tarsi to collapse and the natural arch in your foot to fall flat as shown in the video below. In fact, having flat feet is not so much a symptom, as it is the visible collapse of the sinus tarsi. 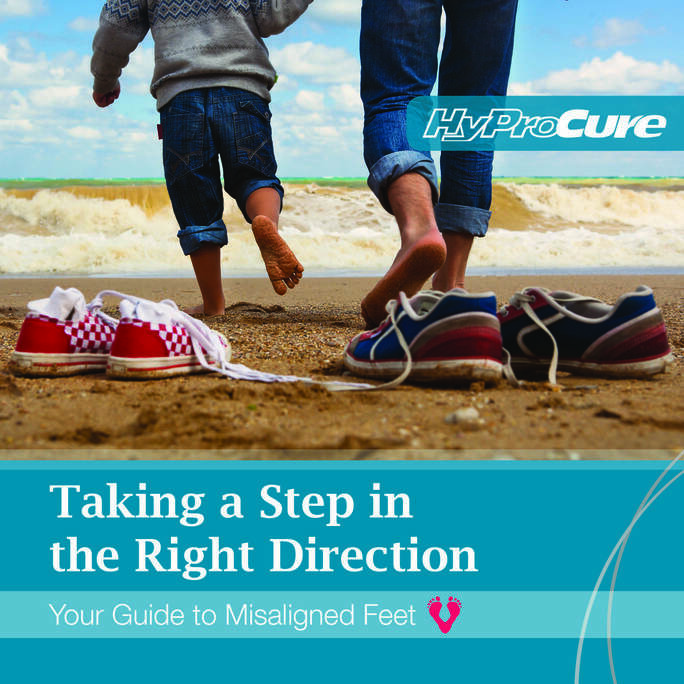 However, it is important to understand that not all people who have misaligned feet have flat feet. About 25% of people with a foot misalignment have a normal arch. This is because of individual bone structure—the tilt in their heel bone is higher than usual. It is common for those with flat feet to be prescribed expensive orthotics or insoles. While these may provide slight relief, they don’t prevent your sinus tarsi from collapsing and only work when you are wearing shoes. How are my Flat Feet Affecting Me? While having flat feet doesn’t sound like a big deal, they are actually throwing the entire body out of alignment, which affects our ability to stand, walk, run, and exercise. Think of the wheel alignment on a car—when the alignment is correct, the wheels provide a sound foundation for the car. However, if the wheels are out of alignment, you feel abnormal vibrations throughout the car and a “pull” on the steering wheel as the car slides in the direction emphasized by the misalignment. HyProCure is a small titanium stent that is inserted into the sinus tarsi fixing flat foot at its root by keeping the sinus tarsi in a stable open position. This keeps your ankle bone from sliding forward and off of your heel bone and the rest of your body in its natural alignment. Learn more about how HyProCure can help relieve your symptoms. Read Free Flat Feet E-books! Find a HyProCure Trained Physician Near You.